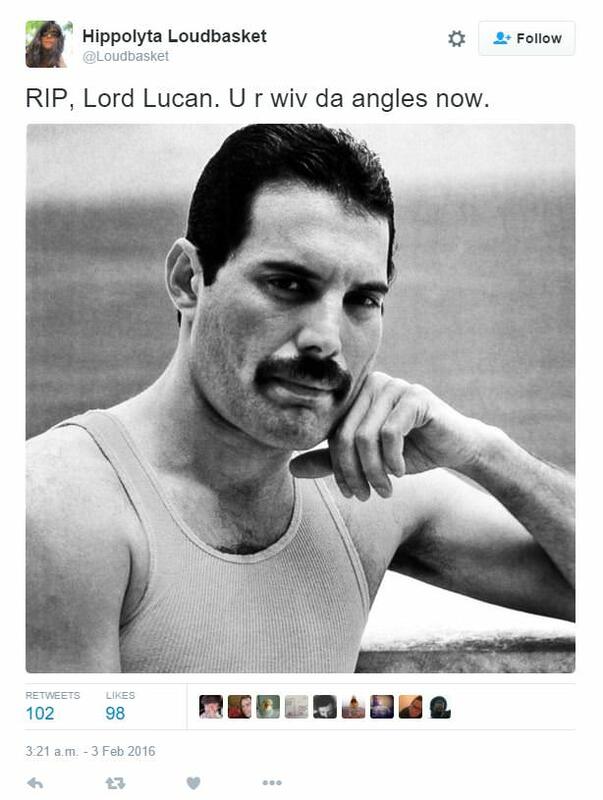 Twitter Reacts In Typically Ironic Fashion To Lord Lucan's Death Annoucement! 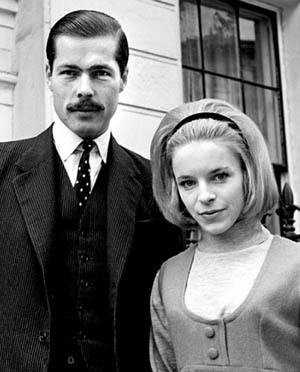 Home News Twitter Reacts In Typically Ironic Fashion To Lord Lucan's Death Annoucement! It was a case that shocked and stunned the nation at the time, when the peer disappeared without trace after allegedly murdering his children’s nanny. Since then, there have been numerous claims of sightings, but none ever confirmed and it still remains one of the greatest unsolved mysteries of the last century. However, you can always rely on Twitter to come up with the goods and members of the social networking site have been out in full force tweeting their reactions to the news. Here are 5 of the best. 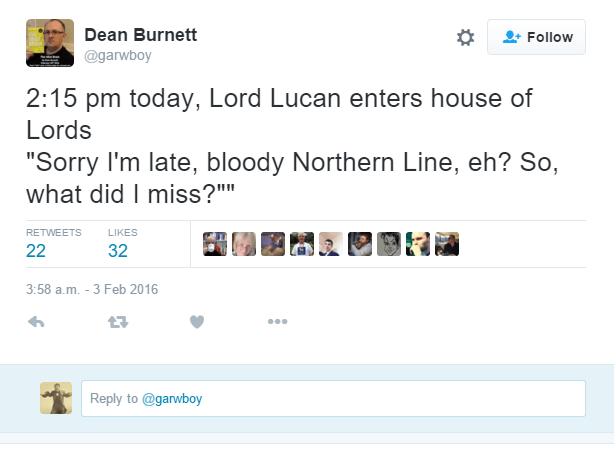 He’s just been stuck on the tube…haven’t we all? Always the last place you look! It’s always the last place you look isn’t it? 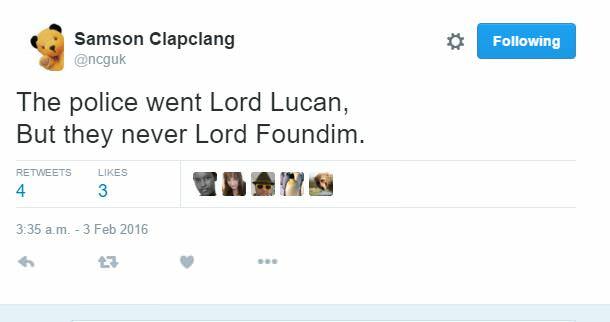 In fact, have the Lucan family actually checked to see if he’s hiding in a grotty brown envelope in a suitcase, in the back of a cupboard somewhere? Everything is always improved with a little poetry. Even the death of a peer. Oh we love it when someone combines the stupidity of Facebook, with the slickness of Twitter. This is one of the best tweets we’ve seen. Improved even more by the addition of the Freddie Mercury picture. Brilliant! 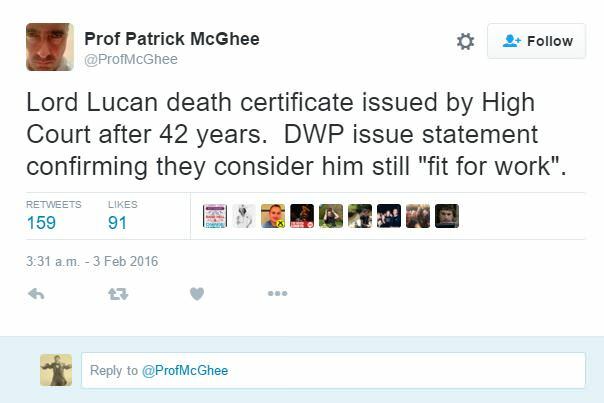 There will never be a time when this particular DWP tweet will not be funny. It was hilarious when they attached it to Richard III and it’s hilarious now. A Pair of Cyclists Being Chased By An Ostrich Is The Funniest Thing You’ll See All Day! Its not always that you see a pair of cyclists, chased by something so funny! Warning! This is a very appetising post!